Here is another addition to our Funquest herd. Sixty-six percent Funquest, hundred percent the Funquest look. Sage not only has these qualities, but also possesses the Funquest head, eye, and the powerful trot. When opened up at a strong trot wearing only keg shoes, she picks them up to the horizontal. 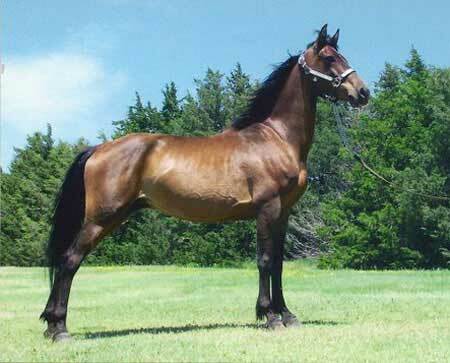 Her pedigree is packed with Funquest greats such as: Black Falcon, Propeht, Pazazz, Storytime, and Black Star. Also included are Flyhawk (4x), The Brown Falcon (3x), the Orcland and Green Mt lines. Pedigrees like this are getting harder to find every day, but we are diligently trying to preserve this lineage.